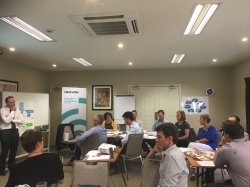 Clearwater, in partnership with the Monash Sustainable Development Institute (MSDI), hosted a series of four masterclasses between February and June 2018 to explore best practice in Integrated Water Management (IWM) and practical skills to build support and drive successful projects for regions. 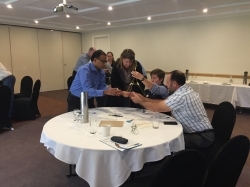 These four classes were each delivered in Benalla, Melbourne CBD, Ballarat and Traralgon, and covered planning for resilient and liveable cities and towns, collaboration, building a successful business case, and communication and influence. Across the fifteen deliveries, we had an incredible 236 people attend from a range of local councils, departments, catchment management authorities, water corporations and consultancies. 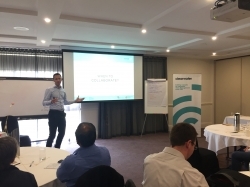 Presented by Rob Skinner and Dirk Visser, this masterclass explored the role of water in sustaining our natural systems and supporting our urban places and communities, and examined how integrated place-based planning can achieve better outcomes for communities across Victoria. A great range of local guest speakers presented at each session, providing real life examples and answering participants’ questions. Our second masterclass examined the strong collaborative skills needed by professionals to work within and across organisations to respond to rapidly changing and complex social, environmental and economic pressures. 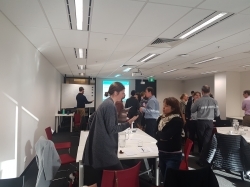 Presented by Annette Bos and Dirk Visser, this class incorporated an engaging series of group activities, case studies and discussion, and allowed participants to explore their relevant stakeholders' needs to achieve mutually beneficial outcomes. 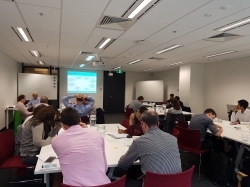 Masterclass three was designed to enhance participants practical skills and tools to enable them to gain support for their projects and initiatives, while increasing their ability to build a well-considered business plan. 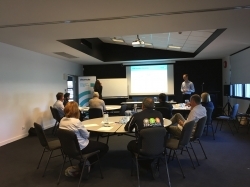 Presented by Rob Skinner and Dirk Visser, this class incorporated a range of project examples that had gained support by implementing well-built and considered business plans. In this class, participants were encouraged to explore their current projects through a number of individual and peer-review activities. 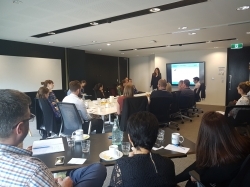 Our fourth and final masterclasses taught our attendees how to communicate with impact and inform their influencing tactics to gain buy-in from their stakeholders and decision makers. Presented by David Robertson and Dirk Visser, this class allowed participants to increase their ability to create change by tailoring their communication style to their audience, improve their presentation skills, and enhance their success in project delivery by refining their influencing skills to achieve better outcomes.